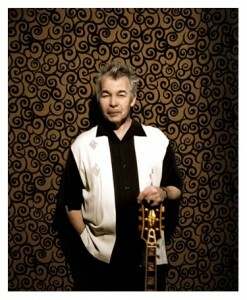 Like so many of our Covered in Folk feature subjects, I discovered country-folk singer-songwriter John Prine via coverage – through both his own “original” version of Roly Salley composition Killing the Blues, which Shawn Colvin attributed to Prine himself on her mid-nineties cover album Cover Girl, and Bonnie Raitt’s ubiquitous version of Angel From Montgomery, a sentimental bluesfolk number familiar to anyone who has ever flipped the radio dial to a Contemporary station in the last few decades. It wasn’t until much later, during a week in attendance at my father’s house while he recovered from back surgery, that I discovered several of Prine’s early albums on my progenitor’s shelves, nestled there among Wainwright, Hartford, and other artists I had rejected in my youth as unfamiliar names with less than melodic voices, and a bit more country than I was ready to take on. To be fair, my father’s collection was always a bit lighter on the Chicago folk revivalist scene from whence Prine arose, and heavier on the more localized NYC Fast Folk movement which I have touted so often on these pages. But I consider it a stroke of luck that the John Prine canon falls in that gap of my audiophilic development that I have only recently come to fill. In the intervening years, my tastes have matured beyond the direct sentiment and clear vocalists of my youth: these days, I look for nuance, deep social consciousness, and a bit of wry grit in my music. And for a true fan of such elements, John Prine is a diamond, plain and simple. Though the bulk of John Prine’s greatest and most well-known songs were recorded in his late twenties, from the very first note of his self-titled ’71 debut, both man and music come across as ageless and wise. To listen to those weary recordings is to discover the truly complex combination of gentle wistfulness, perceptive wisdom, and humor which more often graces the best artists’ work only in their last years. That it comes, in the original, from that broken, ancient voice – a tonality that falls somewhere between Dylan’s nasality and Guy Clark’s dust-croaked twang, only deepened since Prine’s 1998 brush with cancer, which occasioned a removal of no small amount of neck tissue – only underscores that this is a mature listener’s music, though certainly, as the below coverage amply reveals, Prine’s simple, plaintive melodies and direct portrayals of blue-collar drunkards, drifters, addicts, and wise-but-downtrodden everymen are accessible enough to appeal to younger listeners – and cover artists – as well. It’s certainly possible to go grand and bombastic with a few of Prine’s more humorous tunes – for evidence, we need only turn to the full-blown country-western twang of David Alan Coe’s 1974 hit You Never Even Called Me By My Name, a parody of popular country music co-written by Prine and frequent collaborator Steve Goodman. I’ve skipped a few others “out there” from bona-fide folkies such as Joan Baez, Todd Snider, and John Denver that seemed a bit too pretty for my tastes. And it is true that a few of today’s set – most notably takes from Eddi Reader, Nanci Griffith, and a young Kasey Chambers & family performing as The Dead Ringer Band – filter these songs through the well-produced countrypop sentiment that we have come to expect from these performers, though to say so is by no means an invitation to pass over what turn out to be strong interpretations of well-chosen songs. But most of today’s covers are gentle and solo acoustic, sung with a heavy heart and a smile that’s wistful and wry, chagrined and sincere all at once – both because we do folk here, and because, more often than not, Prine’s lyrics and melodies demand it that way. Live covers from Amos Lee, Josh Ritter, Jeffrey Foucault, Laura Cantrell, Hayes Carll and others strip these songs to the bone, bringing the same sparse touch to these gems that Prine himself did on his exquisite 2000 album Souvenirs, in which he revisited his own early songbook with the wisdom of years. As such, like the tributes below, Souvenirs – and 2005 follow-up Fair & Square, a “laid-back” acoustic album which won the Grammy for Best Contemporary Folk Album – come highly recommended for folk fans. More covers from Shoot The Moon Right Between The Eyes: Jeffrey Foucault Sings The Songs Of John Prine appear in last March’s Tribute Album spectacular. Prine teams up with Lucinda Williams to cover Claude Boone and Hank Williams, alongside plenty more covers from Lucinda’s career. Like what you hear? As always, Cover Lay Down exists first and foremost to promote artists; if you’ve found love in our little hobby, please consider following links above to purchase and pursue your own rich collection. If, afterwards, you’d like to give a little back, please consider that – much like public radio – we depend on your generosity to help pay the bandwidth bills. As our gift to supporters, all who donate to Cover Lay Down will receive our Summer ’09 Bootleg mix, featuring Stonehoney’s cover of John Prine’s Paradise and 16 more exclusive tracks recorded live at various Northeast folk festivals and available nowhere else. Make your gift today!